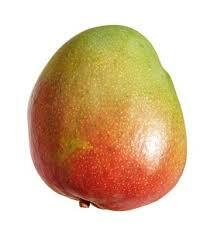 If you forced me to identify my favorite fruit, it just might be the mango. Now that Spring has (finally!) arrived, they are piling up in the produce department! 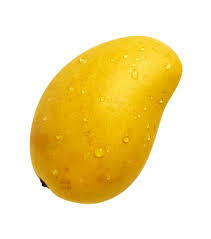 But not just any mango – the Ataulfo mango, also known as the Champagne mango. In other words, this guy… ….not this guy. The other guy is the Tommy Atkins. He’s pretty good too, but he’s nothing like his cousin. The Tommy Atkins is more fibrousy with stringier flesh. The Ataulfo has a much creamier texture. I love mangoes so much that I’m going to devote the next two weeks to them. 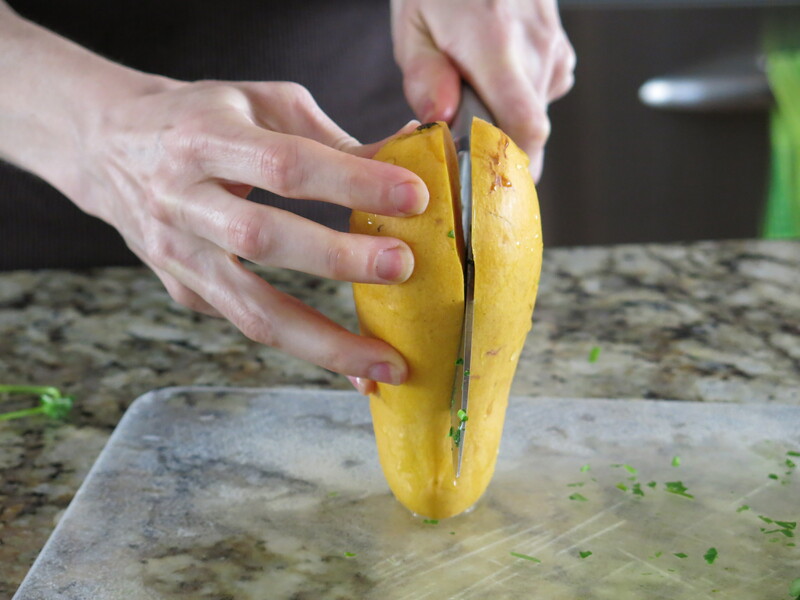 Today you get Part I, where we cover the awesomeness of the Ataulfo, and I share some tips on how to unlock their juicy goodness (read: how to cut the darn things). 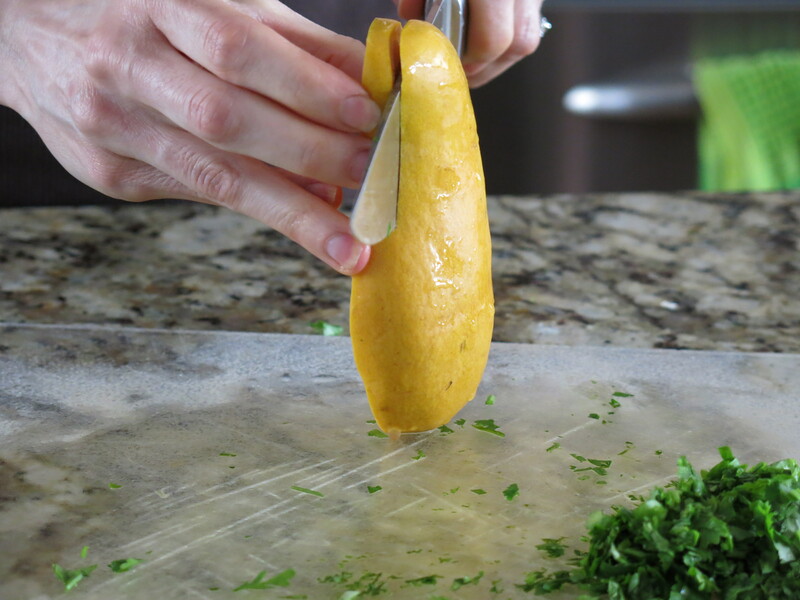 Next week, I’ll share a recipe where you can put those knife-cutting skills to use. Mangoes have over 20 different vitamins and minerals, leading some to call them a “superfood.” Eat just a cup of Ataulfo mango and you’ll get half of your vitamin A intake for the day, 70% of your folate (a B vitamin), and 320% (!!) of your daily requirement of vitamin C. These are all vital nutrients for a healthy pregnancy, which helps explain why I often see them on lists of foods most recommended for moms-to-be. Mangoes are relatively high in sugar and calories compared to some other fruits though, so don’t go totally nuts with them, especially if you have a fat loss goal. To give you a frame of reference, one cup of Ataulfo mango has 110 calories and 18 grams of sugar, while one cup of strawberries has about 50 calories and seven grams of sugar. But How Do You Get INSIDE? Last week while lunching with a friend and client, I pulled a mango out of my bag. She told me she never buys them even though she really likes them. Why? Because she doesn’t know the best way to eat them. Tragedy! But I get it. Mangoes certainly aren’t like grapes, strawberries, apples or the myriad of other fruits that you can simply rinse off and enjoy. Nor are they like bananas or oranges which, even though they have peels, are still pretty darn easy to figure out. 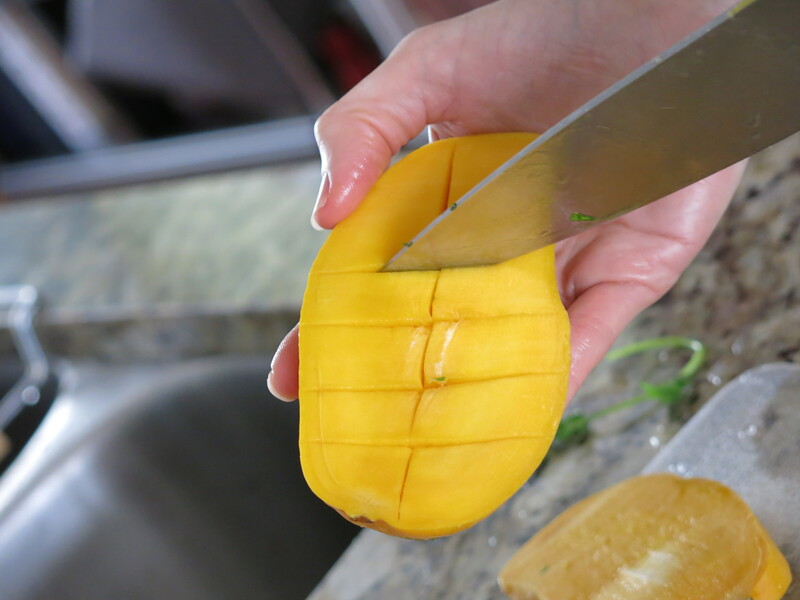 I’ve seen people cut mangoes a few different ways. Here’s the way that works best for me. Try to get your knife as close as you can to the pit, so you’re left with two very large “cheeks.” And please, please, please watch your fingers! To be fair, mangoes ARE more work and messier to eat than a lot of other fruits, but they’re not nearly as bad as, say, the pomegranate. 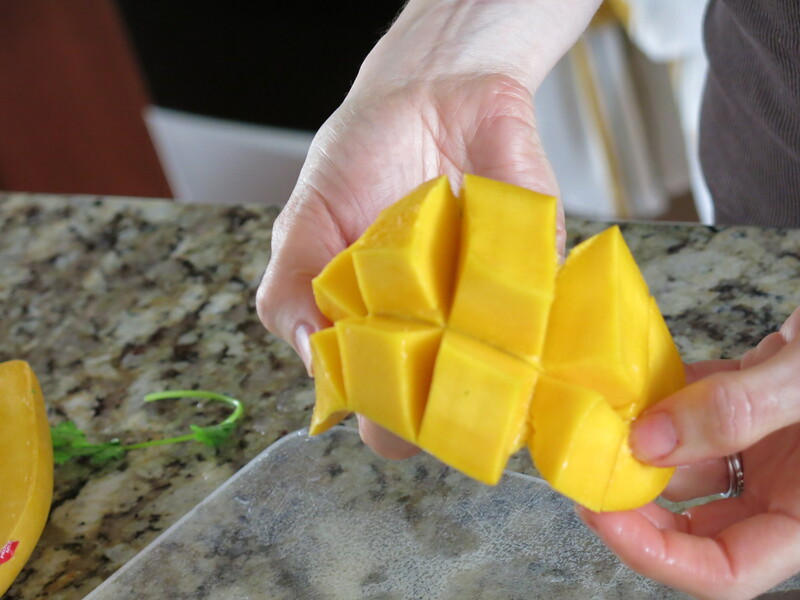 And once you’ve EXPERIENCED the mango and all its sweet, juicy goodness, hopefully you’ll find – as I do – that they are well worth the effort! That’s all for now. Tune in again next week when I offer a recipe that features the mango. You’ve got seven days to stock up! Previous postFull Body, Fat Torching Circuit!